Northwest Dance Project's dancers create shows each winter, and they've found inspiration for the 2018 performance in fables, fairy tales and the majestic and mysterious wolf. "What if one of the Three Little Pigs fell in love with the Big Bad Wolf? ... What if the Ugly Duckling landed in Swan Lake?" they ask. Artistic takes on the Wicked Queen from "Snow White" and "Chicken Little" also are featured. It stars Kody Jauron, Franco Nieto, Andrea Parson and Anthony Pucci. Street Scenes presents the Suzy McKee Charnas story of a psychotherapist and her troubling relationship with a patient. At a time when bipolar disorder was referred to as manic depression and PTSD was referred to as battle fatigue, she struggles to determine the root cause of his delusion that he is a vampire. Based on the novella "Unicorn Tapestry," it's directed and adapted by Tobias Andersen. Imago Theatre brings back the famed masked theater, featuring bugeyes, hippos with insomnia, arrogant anteaters, introverted frogs, paradoxical polar bears, acrobatic worms, self-touting accordions and tricky penguins. New this year is the 10-minute intermission show, "The Magic Cloth," a collaboration of Imago and famed designer/puppeteer Michael Curry. It's Robert Dubac's newest Off-Broadway hit, a satire and theater show that tackles a culture that worships Kardashians over character, delusion over truth, and selfies over self-enhancement. 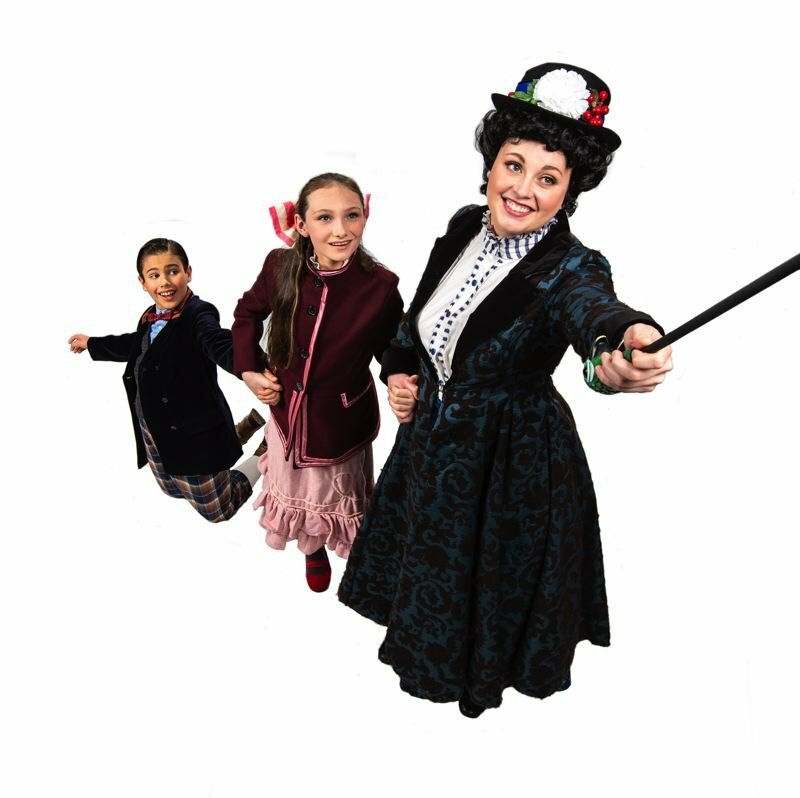 The beloved flying nanny returns to the Northwest Children's Theater stage in the magical adaptation of the classic film turned Broadway play. Portland Opera to Go presents the bilingual production of the Rossini opera. It's 50 minutes long and targeted for students. The story: Rosina is new in town, fresh from Spain, and lives with her controlling and suspicious Uncle Bartolo, who wants to marry her off to a rich friend. But Rosina loves Almaviva though they speak different languages — she Spanish, he English — so they enlist Figaro to help. It's an event that often sells out, so check for tickets. Literary Arts and "The Moth" radio show bring a new lineup of storytellers to Portland. Speakers generally come from the worlds of art and science and are newsmakers, news breakers and everyday heroes.